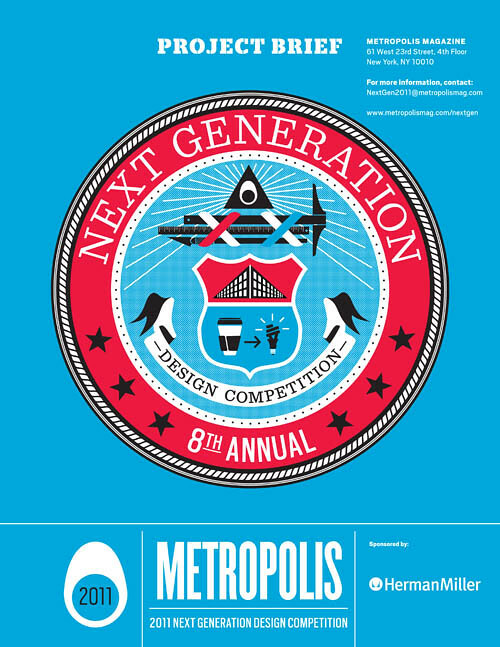 1) The "Next Generation" series, sponsored by Metropolis, stretches into its eighth year with a leap over the Rockies to Los Angeles. GSA, one of the world’s biggest landlords, is being challenged by its Administrator Martha Johnson to achieve a Zero Environmental Footprint for its existing office buildings. She’s likened this challenge to the Apollo Space Project of the 1960s (the same decade when hundreds of new, modernist government buildings, like the one in downtown LA, were built). GSA’s colossal existing stock of buildings, over 9,600 of them in the U.S., poses an even bigger challenge: How can forward thinking-design transform backwards-looking buildings? The specific site chosen for this is 300 North Los Angeles Street. Get Zero "asks entrants to design “fixes” that will transform the existing building, bringing it to the highest possible level of performance in a memorable, beautiful, and original way." Read more at Metropolis. 2) "Each day, over 1.1 million people enter into the United States," says a competition calling itself seekingSHADE (not Seeking Shade, of course). "Many arrive by air, some by sea, but most cross our nation’s borders on land, through large and small ports of entry in a myriad of communities along our northern and southern perimeter." This competition—which centers around the design of a "sun shelter" to be installed at the San Ysidro Land Port of Entry—also involves the GSA: "GSA is proud to provide the Department of Homeland Security (DHS) and their agents, the Customs and Border Protection (CBP), with award-winning properties that help them effectively execute their mission and properly welcome travelers to the nation," we read. Public buildings are part of a nation’s legacy. They are symbolic of what Government is about, not just places where government is conducted. Structures as diverse in scale and location as the Capitol in Washington or a remote border crossing are monuments to the vision, leadership and commitment of the nation's [sic] that build them. Though a seemingly straightforward challenge, this sun shelter is imbued with greater meaning. For many, it may serve as their initial introduction to our country. For returning visitors, it may become a familiar landmark. Whichever the case may be, we trust your submission will reflect your hopes and aspirations for the nation. There seem to be ample opportunities here both for practical design experimentation and for pointed political commentary, whichever direction you might choose. Read more at seekingSHADE. 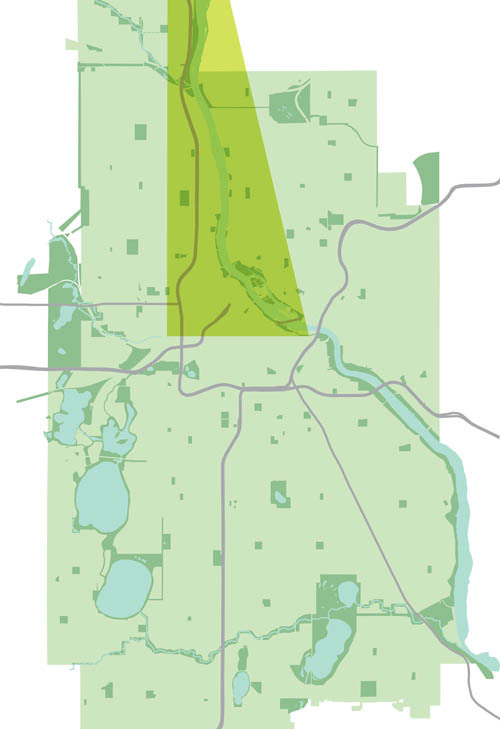 3) The Minneapolis Riverfront Design Competition "encourages a comprehensive, integrated approach to evaluating the larger river/park system" of the city of Minneapolis. • Re-focuses the city toward one of the three great rivers of the world—the Fourth Coast of the U.S.—an extraordinary environmental amenity that defines Minneapolis’s civic identity, past, present and future. The competition thus aims for "a design-driven vision for a 21st century park system" in the city. Read more at the competition website. 4) Last but not least, the somewhat ungainly named BrickStainable design competition comes back for its second year. 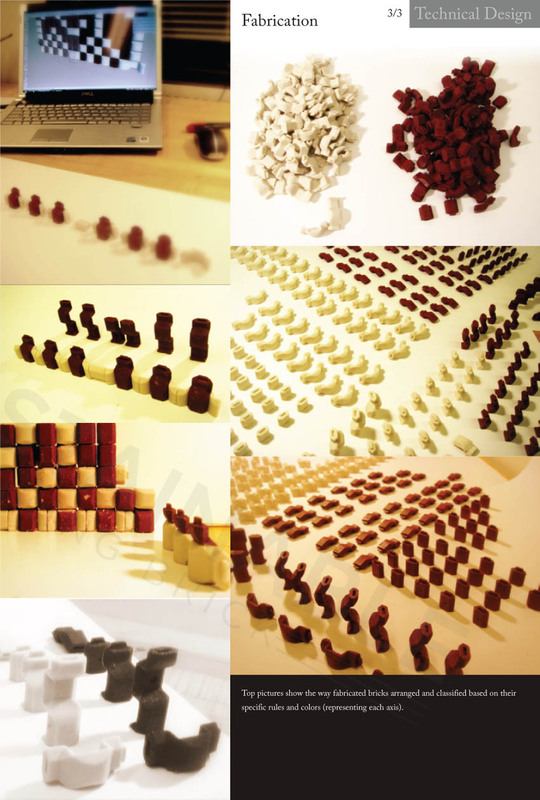 [Image: From last year's BrickStainable winner in technical design, by Rizal Muslimin]. 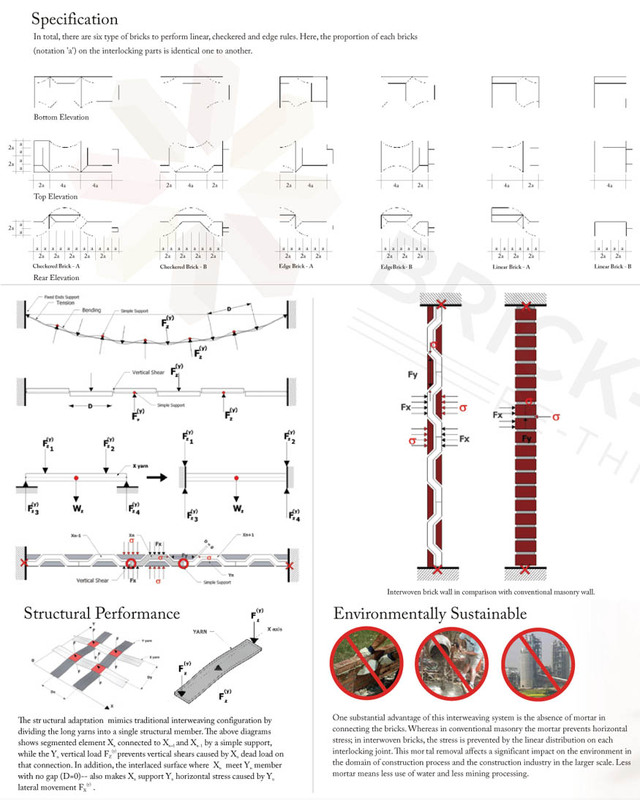 The competition "seeks integrative solutions for a building using clay masonry units (brick) as a primary material." Specifically, it hopes "to explore the potential of brick construction in the creation of an energy efficient building." I've included some images of last year's award winner in the category of technical design; this is a project by Rizal Muslimin. 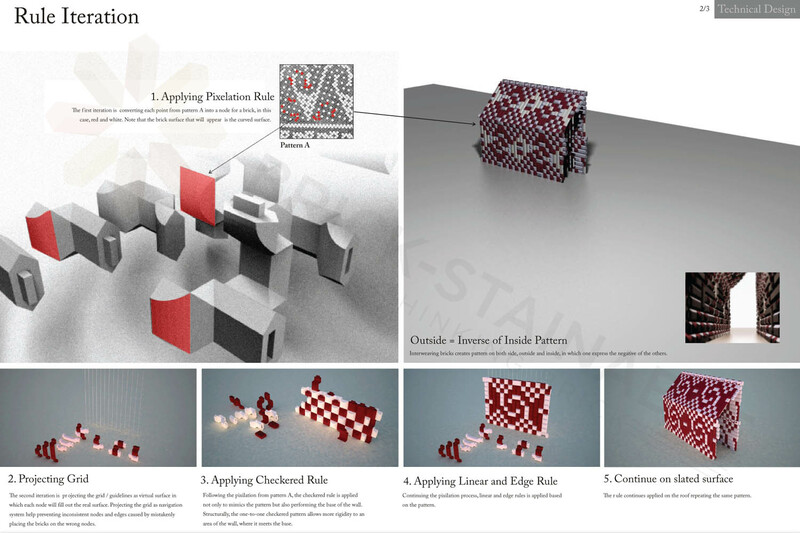 [Images: From last year's BrickStainable winner in technical design, by Rizal Muslimin]. 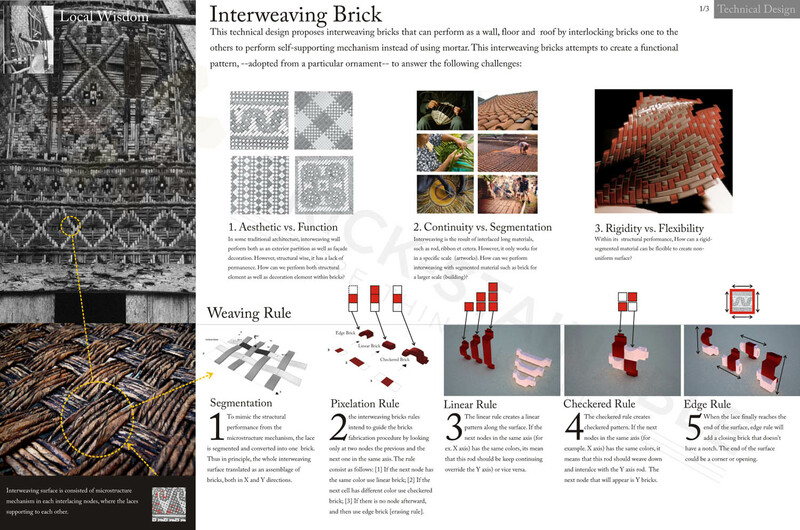 Muslimin experimented with a series of "weaving rules" for his specially manufactured bricks, including segmentation, pixellation, checkered and linear arrangements. For more info, please refer to the competition website.